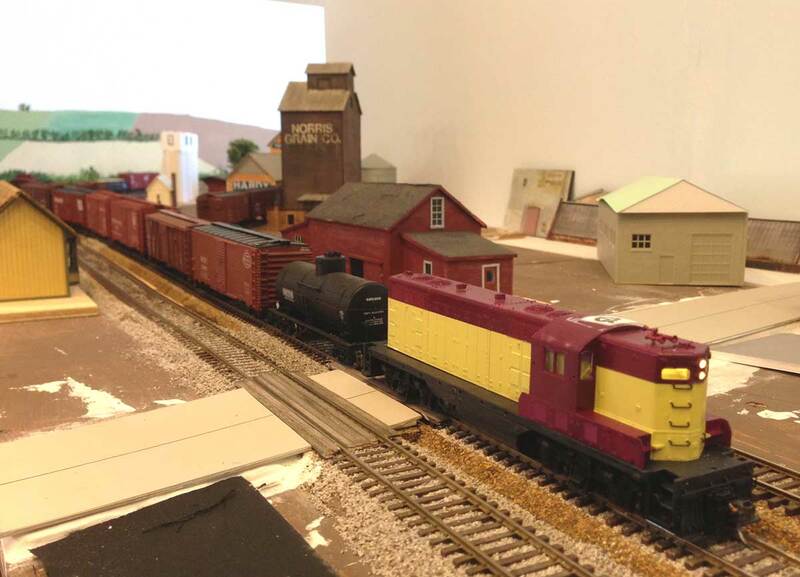 Mountain railroading on Paul Backenstose’s HO scale layout. I recently returned from a couple weeks of travel back in the Mid-Atlantic Region. As mentioned here a couple posts ago, I attended the RPM Valley Forge event. After things closed up, several home layouts were open for a self-guided tour. I stopped by to visit a couple of layouts on my way out of town. An eastbound local crosses Main Street in Birchmont, Ohio on the Kingston Southern HO scale model railroad. 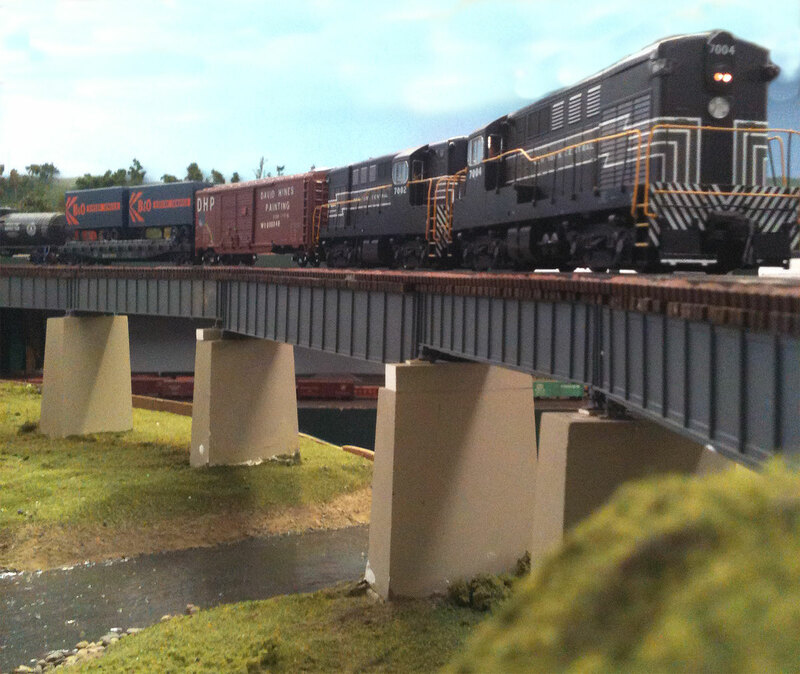 I moved to El Paso, Texas, in the summer of 2012 and began to seek out local model railroaders. I attended a local NMRA meeting and met Mike who was building an HO scale home layout in nearby Las Cruces, NM. His layout had progressed well and he hoped to begin operating soon. I offered to assist with any tasks to keep the progress rolling and ended up visiting a couple of times a month. Over the next year, the mainline was completed, a yard was installed, an industrial branch was installed, and operating sessions were set up. 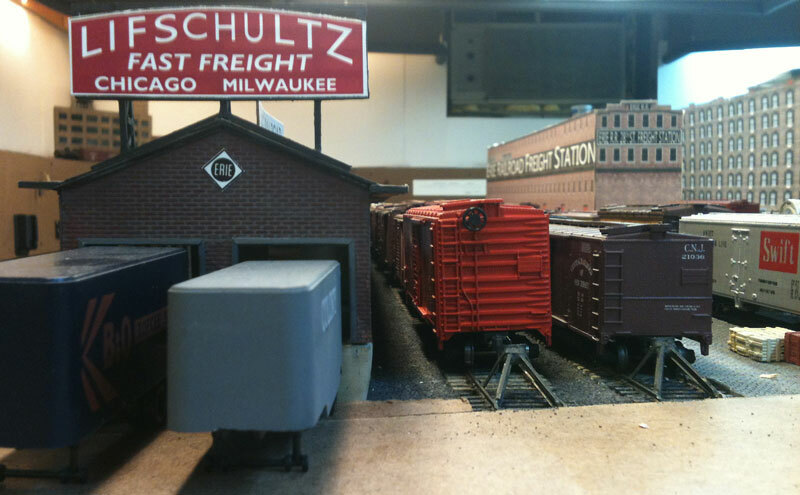 Mike now hosts once a month sessions on his layout and a few local model railroaders participate. Click on any image here to review a large size. I recently visited the Mon Valley Railroad Historical Society in Morgantown, WV and participated in an operating session. This was a homecoming of sorts for me as I have been a member of this group since the start in 1988. I had not seen the layout since I moved away three years ago. I was surprised with scenery progress in several places as well as additional lighting. I took photos along the way with my iPhone. While the quality is not pristine, they documented my fun on that day. Click on any image for a larger view. I traveled to Clifton, NJ on a recent Friday afternoon to operate on the HO scale New York Harbor Railroad of Dave Ramos. Dave models three railroads and their operations with a focus on late 1947. These facilities are confined to a few blocks along the west side of Manhattan, mainly between 27th and 33rd Streets. Dave features quite a bit of prototype detail on his layout website. I used my iPhone to capture images at the op session. A slightly larger size can be viewed by clicking on any image here. While I have not started a new home project layout this past year, I have been able to operate on a number of interesting model railroads. 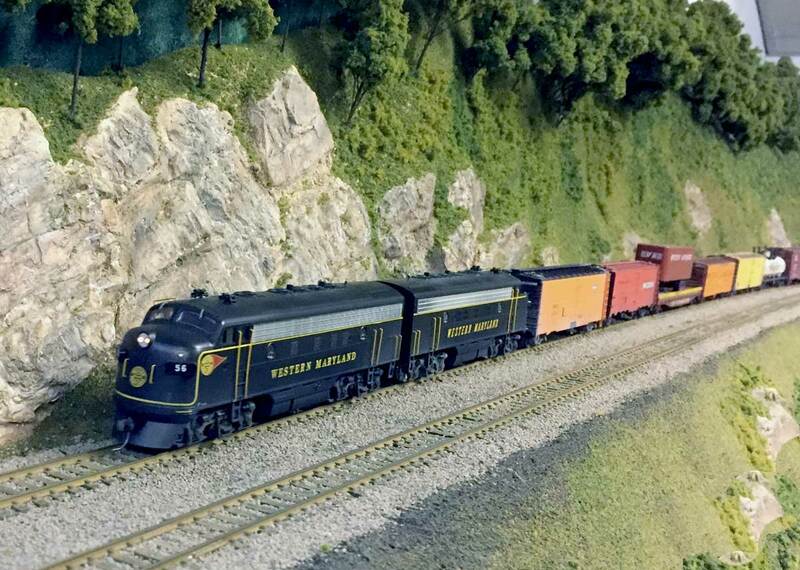 One of these layouts is inspired by a stretch of the Baltimore & Ohio in West Virginia, and not far from where I lived in Morgantown, W. Va. Thomas Eckhardt has been building his HO scale B&O West End layout for a couple of decades. The main line is running, nearly all track is complete, and much of the scenery has been installed. On occasional weekends, a crew gathers to operate the West End.